Google's $129 smart speaker, the Google Home, was first announced back at Google I/O earlier this year. Featuring the shiny new Google Assistant coupled with a great speaker, the Home is part of Google's march into the smart home market. Pre-orders finally started last month, and now they are finally shipping to customers. Our own Artem has received the above shipping notice, showing his Home arriving tomorrow. 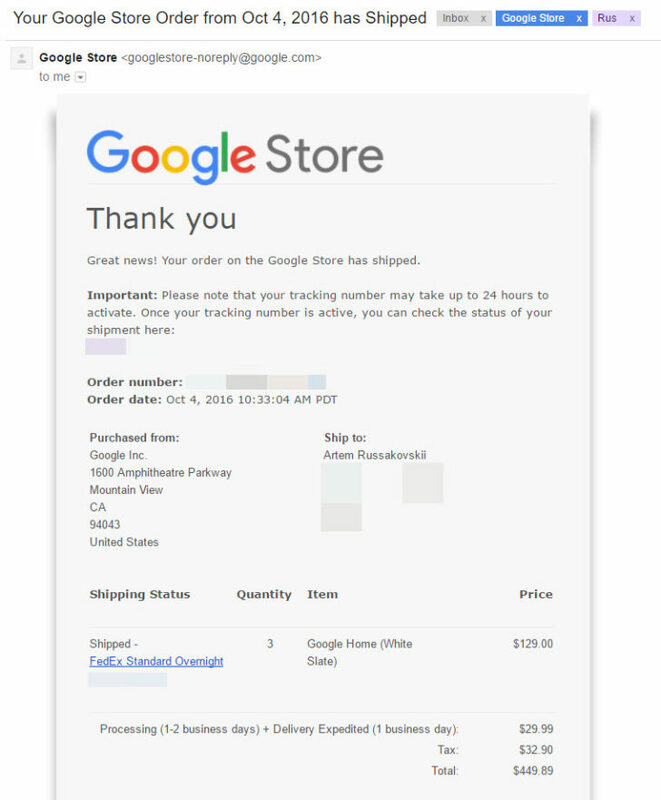 Obviously depending on what shipping option you chose at checkout, your arrival date may vary, but at least they have begun to move out of Google's warehouses.